You are here: Home / Fly Away with the Bloor-Yorkville Icefest Scavenger Hunt! 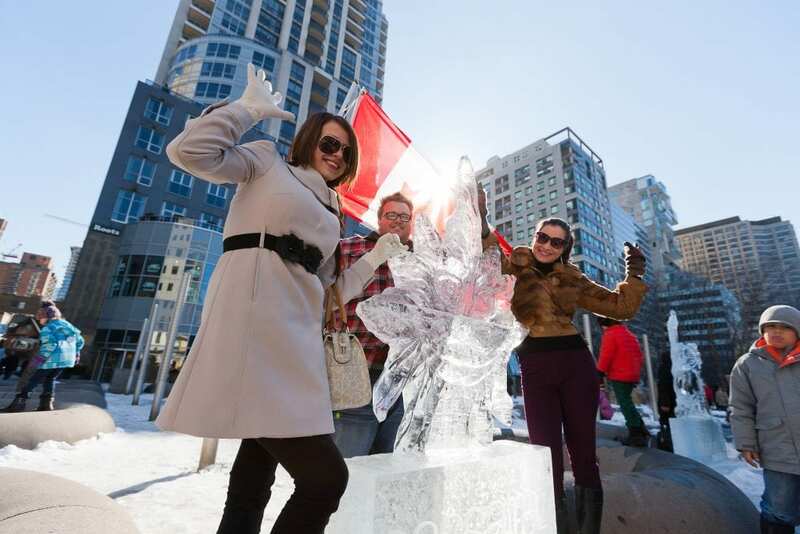 The countdown is on for Bloor-Yorkville Icefest 2019! We’re excited to see everyone embrace the winter season as we bring Hollywood North. While we’re more than ready to embrace the Great Canadian Winter, we have an exciting new initiative this year that will let you jet off in pursuit of sunnier skies and sandy beaches. We’ve teamed up with Flight Centre to bring you the first ever Icefest Scavenger Hunt! This exciting program will lead you throughout the Village of Yorkville Park as you discover local landmarks, glittering ice sculptures, and more. Be sure to stop by the Bloor-Yorkville BIA Tent on-site during Icefest (we’ll be at Bellair and Cumberland St) to pick up your Scavenger Hunt ballot. Once completed, return it to us; every correct ballot will be entered in the draw to win $1000 towards a Better Beach vacation. It doesn’t get much better than that! Don’t forget we also have the Bloor-Yorkville Prize Packages up for grabs! The Sassafraz Ice Carving Competition takes place on Saturday from 12:00 Noon – 3:00 pm. Vote for your favorite Carving Competition Sculpture and automatically enter to win one of our prize packages, valued at $1500 and $700. Ballots will be available at our tent. Be sure to check out the Icefest website to see what other prizes, vendors, and activities we have planned. Icefest officially kicks off Saturday, February 9th from 12 pm – 8 pm and runs through Sunday, February 10th from 12 pm – 5 pm! We’ll see you there!